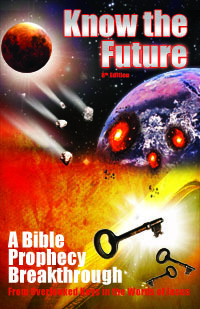 David Wilkerson is best known as the author of the Cross and the Switchblade and founder of the Times Square Church, but has written other books on Bible prophecy. David Wilkerson seems to be one of the few major American pastors who believes and openly talks about coming severe judgment on America, and the need for repentance. For this and some of some unfulfilled predictions, of course, he is attacked as a false prophet by more mainstream Christianity. Yet, he has many sound things to say on several subjects including youth, breaking addiction, and how to walk with God. I'm very impressed with him and find him to be a bright spot among the typical "nothing bad will happen here" prosperity evangelists of today.